Nearly 6.6 million Jews living in Israel ahead of 70th independence day, 10 times more than when Israel was established in 1948. 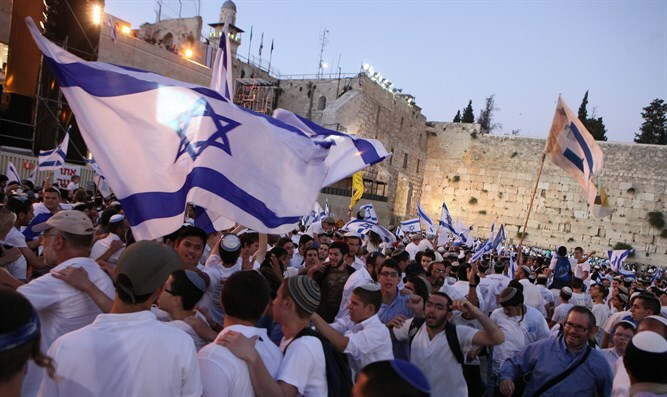 More than 8.84 million people live in Israel on the eve of the country’s 70th Independence Day, according to data released by the Central Bureau of Statistics. In the seventy years since Israel declared its independence on May 14th, 1948, the total population has increased eleven fold – rising from 806,000 total citizens to 8,842,000. The Jewish population rose at a slightly slower rate, increasing tenfold from approximately 650,000 in 1948. Of Israel’s more than 8.8 million citizens, 6,589,000, or more than 74%, are Jewish. Israel’s 1,849,000 Arabs (not including residents of the Palestinian Authority or Hamas-ruled Gaza Strip) make up 21% of the population, with less than 5% of the population – or about 404,000 – classified as neither Jewish nor Arab. Israel’s massive population increase over the past 70 year was fueled in large part by immigration, with more than 3,200,000 immigrants or “Olim” moving to Israel since May, 1948. With a current annual growth rate of 2%, Israel’s population is expected to continue growing at a relatively fast pace through the middle of the century, topping 15.2 million by 2048. Israel’s Jewish population is expected to exceed 11 million by then. The CBS predicts that Israel’s growth rate will fall to 1.7% by 2048, sinking to 1.6% by 2065. Over the past year, Israel’s population increased by 163,000, with approximately 177,000 births, 41,000 deaths, and 28,000 immigrants.